Let us face it, wearing makeup every day is annoying and time-consuming. Whether you forego the face paint at weekends or choose not wear it at all the prospect of looking presentable without makeup haunts us all. Well, I’m here to give you a few ideas that might help you in your makeup-less endeavors! Personally, I think nothing is more attractive than healthy hair. Use a hair mask once a week or try a hot coconut oil treatment. If you’re choosing not to wear makeup then styling your hair and making sure it looks neat is essential. Whether you choose flowing waves or a relaxed dutch braid, make sure you spend a little extra time on your hair. It is your crowning glory after all! Equal to healthy hair is healthy skin. Having a consistent skincare routine is important to how your skin looks every day. Cleanse, exfoliate, moisturize and use an SPF in the day (all year round, yes even winter). That’s all you need really. If you’re getting on a bit like me then a retinol treatment would be a welcome addition! I think effective skincare is all about consistency and keeping it simple. Teeth inevitably become stained over time so either invest in a whitening toothpaste or try a gentle whitening treatment. Our eyes tend to look tired and bloodshot at times. I have hayfever so my eyes are constantly being rubbed! Since we’re not utilizing mascara which makes eyes look brighter and wider, we can achieve something similar by using brightening eye drops. These will soothe tired eyes and make whites look whiter. This one is obvious, use a lip balm and keep using it. It also adds a small amount of shine. This is veering into makeup territory, but if you like painting your nails then go for it. It really makes someone appear very polished and well groomed. Use your lip balm or a clear mascara to brush up your eyebrows, I would recommend not plucking them. Anyone who faintly remembers that nineties and early noughties will agree with me. Curling your eyelashes will really open up your eyes and give the appearance of longer eyelashes. 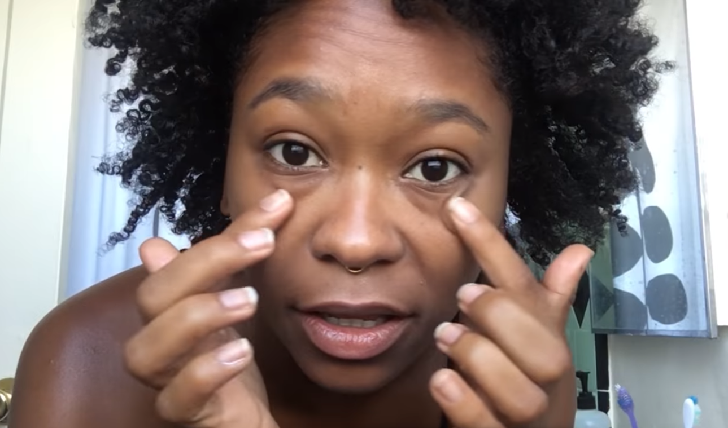 Since you’re not using makeup to enhance your features you could use something that is designed to keep them healthy and to grow a little bit. A brow serum will thicken up your eyebrows and a lash serum will lengthen them. I’ve been using RapidBrow and I’m quite impressed with the results! Yes, it’s a cliche but it really does make a difference. When it comes down to it, it doesn’t matter whether you choose to wear makeup or not. It’s about being friendly and approachable.